is a global marketplace connecting art, design, jewelry dealers to potential buyers online. As such, the company has a complex digital ecosystem that requires an advanced analytical capability. In order to create a data-driven business, the company worked with Cardinal Path, a Google Analytics Certified Partner and Premium Authorized Reseller, in order to collect, process, store, and visualize all their data. The companies started by discussing the most important key performance indicators (KPIs), which would be used to measure both failures and successes in their efforts. This understanding led to more customized and effective data collection, including features such as Custom Dimensions, User ID and Enhanced Ecommerce. Using Google Analytics Premium to power their decisions, 1stdibs saw a 47% lift in transactions on paid media campaigns and a 10% gain in overall return on ad spend (ROAS). Plus, newly optimized email strategies led to a 34% increase in email click-through rates. To learn more, read the full case study. 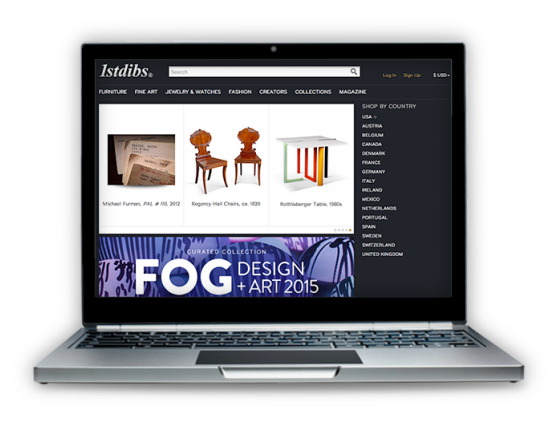 1stdibs.com is a global marketplace connecting art, design, jewelry dealers to potential buyers online. As such, the company has a complex digital ecosystem that requires an advanced analytical capability. In order to create a data-driven business, the company worked with Cardinal Path, a Google Analytics Certified Partner and Premium Authorized Reseller, in order to collect, process, store, and visualize all their data.